The New York City subway, harsh and intrusive as it is, offers a paradoxical bubble of solitude to those who want it. Though the trains are noisy, and each contains a small town’s population at rush hour — nearly 2,000 people, a few of whom always have headphones blaring at loudspeaker levels — a commuter onboard can often recede, losing him- or herself in a form of privacy unique to a city of millions. The subway is (for the time being, anyway) mostly a place where cell phones don’t ring and e-mails don’t ping. If you’re not reading or playing a computer game as you wait, odds are you’re gazing into the middle distance, gaining strength from those few minutes when nobody is asking anything of you. The middle distance, though, is not empty. A subway station is full of interesting things to look at. Mosaics. Bare-bulb light sockets next to, and superseded by, far more powerful fluorescence. Lively advertising, flanked by lousy advertising. Here and there, a cockroach or a rodent. And, of course, signs. Each of them contains relatively few words, sometimes just one or two, and they are not only placed in the middle distance; they are deliberately hung where you are supposed to see them. Bored eyes, accustomed to stimulation, tend to settle on even just a few letters. The background of each is black, the letters white. The older signs are enamel on steel, with thickness and gloss to the porcelain; some newer ones are made with adhesive vinyl films in matte finishes. The train lines are indicated with discs in ten official colors. Important details, like exits and warnings, are on red and yellow backgrounds. A slim white band across the top of nearly every sign demarcates… something. (More about that later.) 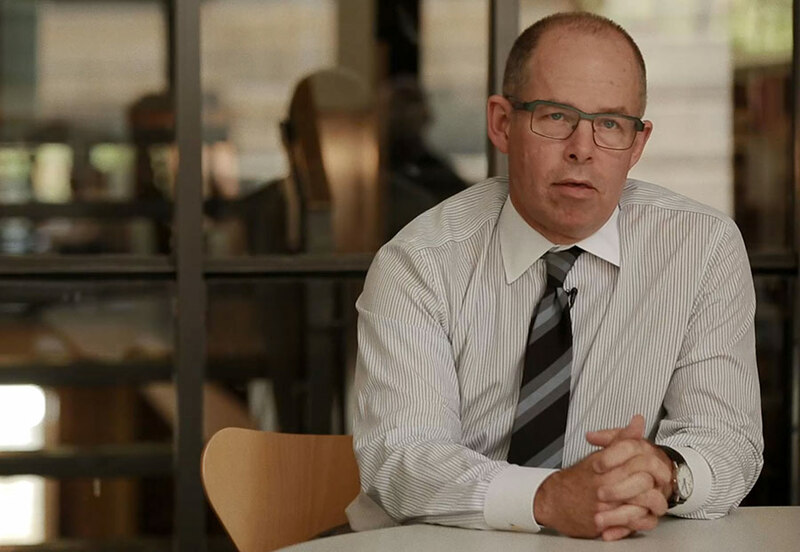 The typeface is Helvetica, that avatar of modern efficiency, except when it isn’t. (More about that too.) The graphics are markedly consistent, with just enough oddities to make the whole thing interesting, and they have become nearly as pervasive a symbol of New York City as yellow taxicabs and Art Deco skyscrapers are. By and large the system all makes sense, despite its failings. 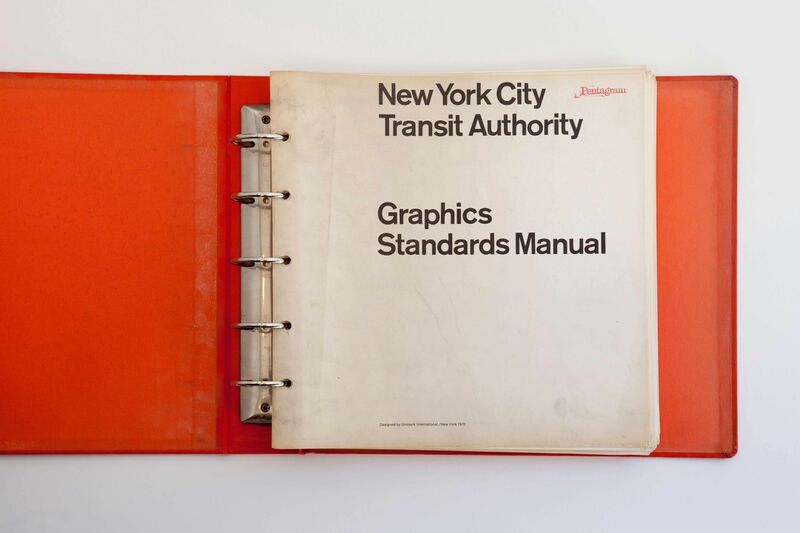 It took decades to make that consistency happen, and the 1970 New York City Transit Authority Graphics Standards Manual, reproduced in these pages, is where the whole project began. 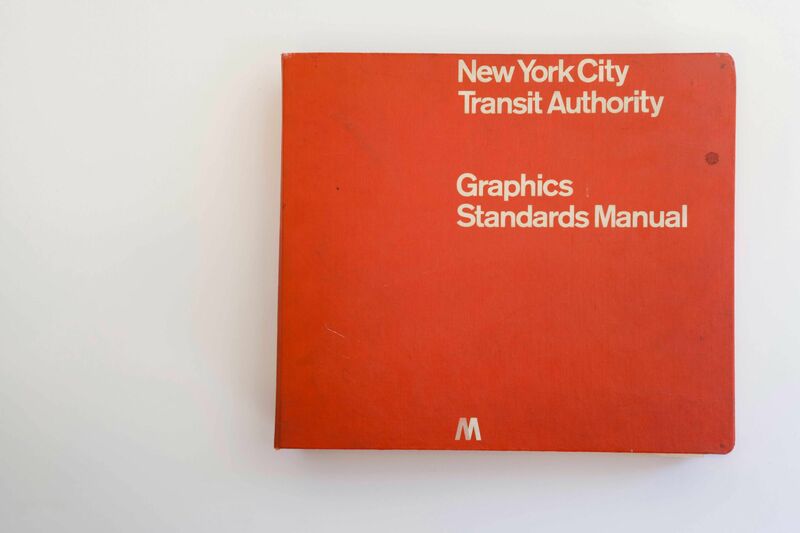 The NYCTA Graphics Standards Manual contains scans of Massimo Vignelli and Bob Noorda’s (Unimark) modernist masterpiece. 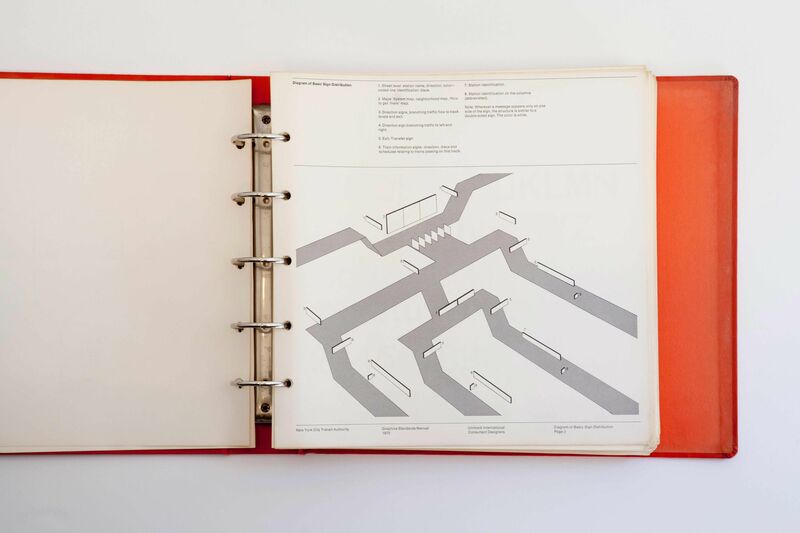 The manual describes the design and construction for the iconic NYC subway signs that we still see and use today, but above all it’s a beautiful and important piece of design history. © New York City Transit Authority. Reproduced with permission. © New York City Transit Authority. 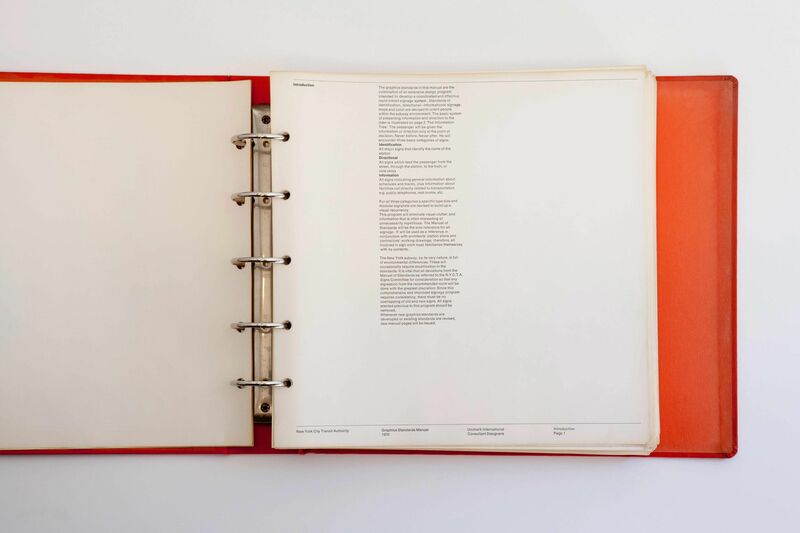 First published in 2014 as a full-size reissue by Standards Manual, LLC. 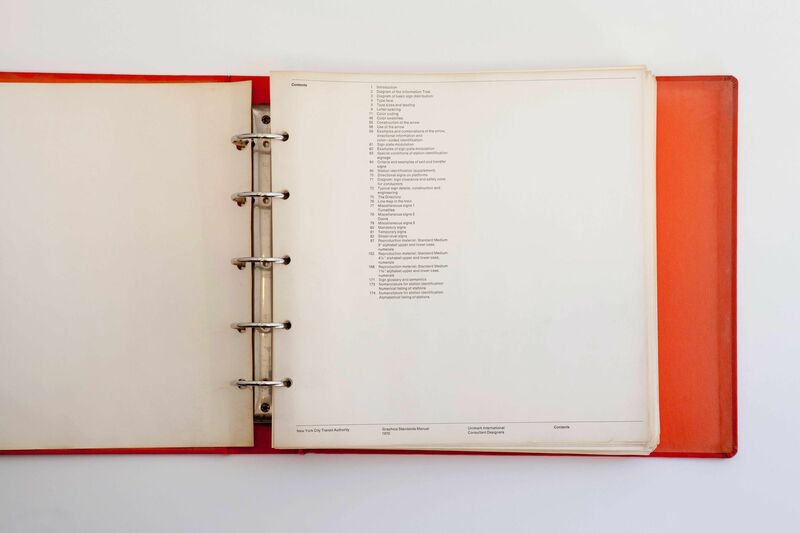 All images of the Graphics Standards Manual contained in this publication have been scanned from the private collection of Massimo & Lella Vignelli, generously provided by their son, Luca Vignelli. 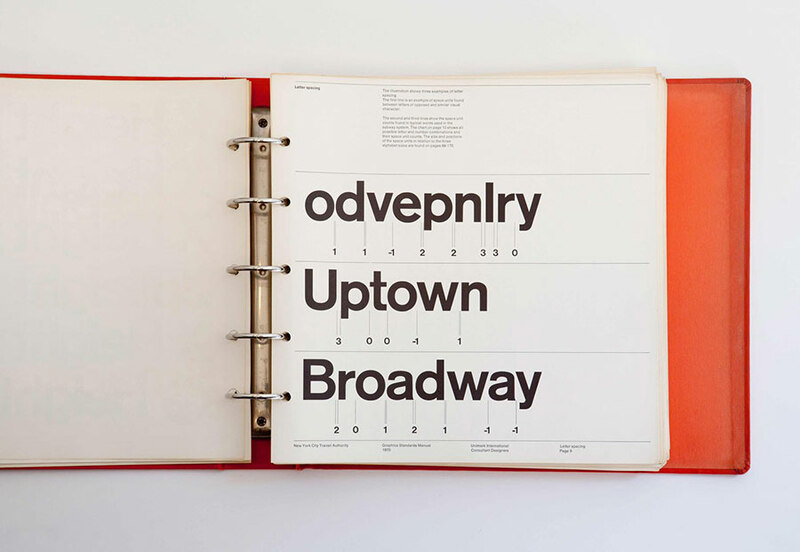 NYCTA Standard Medium was designed by Nick Sherman in 2014 specifically for this book. 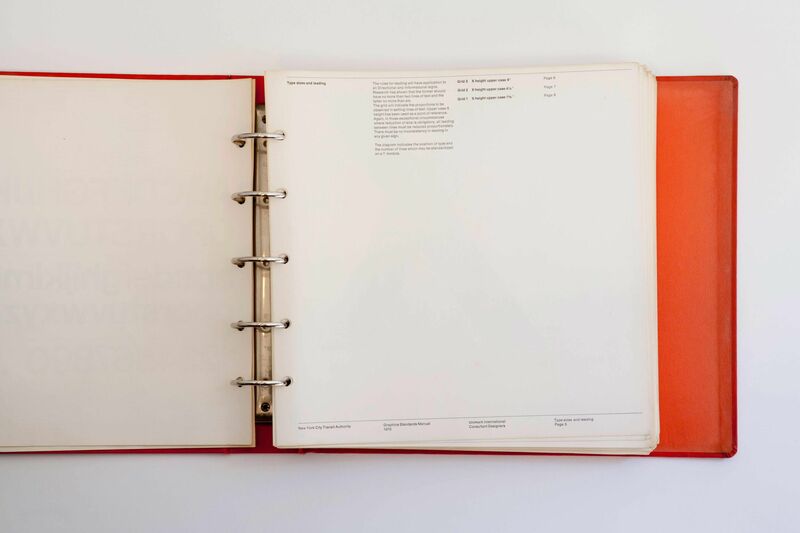 Scanned samples of the Graphics Standards Manual contained in this publication were used as the basis of the redrawing. 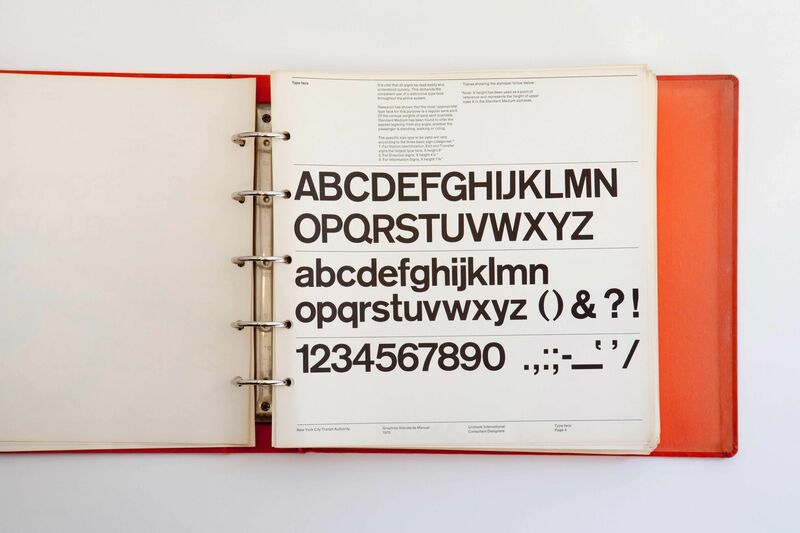 Letter spacing, kerning, and the quirks of Standard Medium were all retained and precisely match those specified in the Manual. 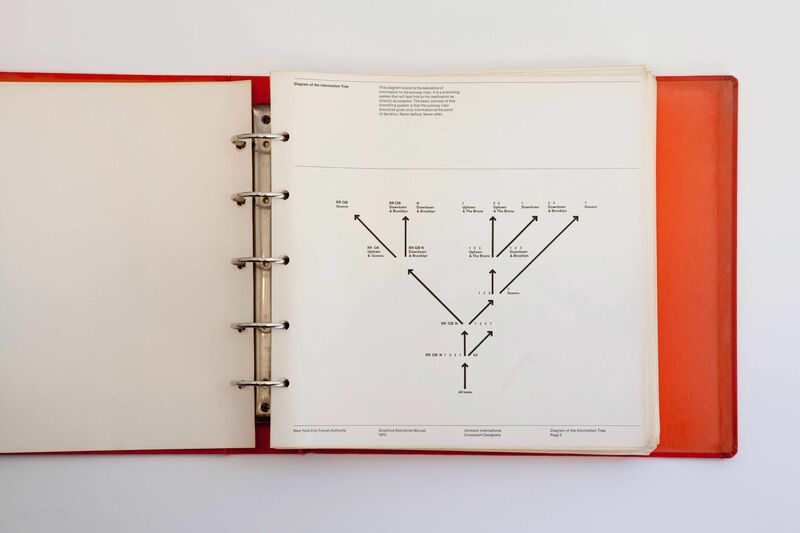 View a specimen of NYCTA Standard Medium here.